We are passionately engaged in offering a high grade range of Closed End Inserts Rivet Nuts. Widely used for machining types, continuous cutting, and general cutting and interrupted cutting. 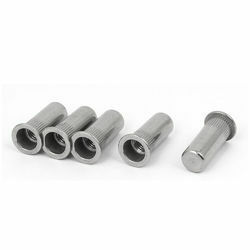 Looking for Closed End Inserts Rivet Nuts ?